An interesting literary phenomenon in India today is the rise of historical fiction. Most of these books try to retell our myths, legends, folklore, history and culture in an innovative and interesting manner. The commercial success of these books suggests that such books appeal readers’ need for an adventure (challenging the odds, taking on an impossible task or an intense longing for some extra-special power). This is not a single reason, though. And, one may find as many reasons as one may like to. Such books also act as a medium of passing on information, explaining some deep and profound stuff, and teaching some lessons in the process. Overall, such books provide an interesting story to engage with. At the same time, while most of these books certainly make an entertaining read, a number of these fail to catch the real essence of our history. These books fail to capture the real power of ancient stories in modern lives. These books fail to explain the philosophy behind these ancient tales. However, the same cannot be said about the book I am going to review today. 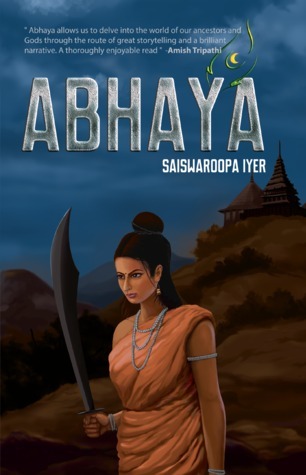 The book I am going to review today is Abhaya by Saiswaroopa Iyer. This book shows Saiswaroopa Iyer handling her debut novel with great artistic power. The references given at the end of the book shows that the book is backed by a comprehensive research and the author did her homework really well before starting this book. Set in the era of Mahabharata and based on an ancient story (killing of Narkasura), the book takes you on a thrilling journey filled with adventure, romance and anticipation. The story revolves around Abhaya, the princess of a small kingdom called Anagha. The territory of Anagha is situated in the borders of a dominant and influential kingdom called Avanti. While these two kingdoms are on diplomatic and peaceful terms with each other, a certain sort of animosity is growing on between these two. Things started to go worse when Abhaya helps princess of Avanti to elope with Krishna, ruler of Dwarka. This finally leads into the kingdom of Avanti attacking Anagha. The king of Anagha dies defending his kingdom but Abhaya manages to save the people of his kingdom by taking them to Indraprastha on the advice of Krishna. Another plot runs parallel to the story of Anagha in the book. This second plot revolves around Bhuma, the lord of Kamarupa who is trying to use Shakta cult to rule all over India. Somewhere in the middle of the book, these two plots merges with each other and the book leads to a fascinating climax. Religious bigotry, hypocrisy and the degeneration of institutionalized religion into an instrument of exploitation are some of the important themes of this book. I think the very choice of these themes is a bold stroke of genius. Dealing with these subject matters derives its effectiveness from a total control of all aspect of these problems. The overall picture presented in this book is not only objective, but also balanced. There is no tear-mongering here, neither you find tearing of the hair over the questions raised in this book. The author’s value-judgments are mostly brought home through action and situation except in the concluding pages where the poet in her heart suddenly seems to become the mouthpiece of the author herself. Additionally, the book under review shows how the genre of historical fiction can be a very good medium for discussing some of the problems of contemporary present. This is what we generally find missing in a large number of historical fictions. Turning our attention to the other aspects of the book, we find that the characters (including the secondary ones) have been sketched really well. At the same time, I feel the physical characteristics of different characters could have been given some space in the book. However, the lack of this does not affect the overall plot at all. The narration is both crisp and fluent. Scenes are vividly described. Though the pace of the story-line drags in some portions of the book, the book, in general, maintains a steady pace. Overall, the book left a very good impression on me. For me, the book is an impressive artistic achievement. In addition to entertain you, the book offers so many valuable insights. And, most importantly, the clarity of artistic vision is not clouded over here by conventionalities. Tags: Book Review, Four Stars, Historical Fiction, Indian Author, Indian Culture, Indian Mythology, Krishna, Narkasura, Read Out Loud Publishing, Saiswaroopa Iyer. Bookmark the permalink. 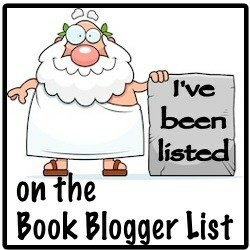 Enter your email address to follow 'The Bibulous Bibliobiuli' and receive notifications of new posts by email. 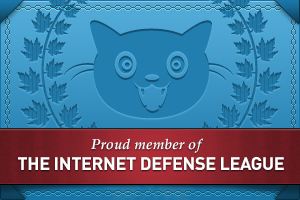 I hereby claim no credit for any of the images posted on this site unless otherwise noted. Images on this blog are copyright to its respectful owners. If there is an image appearing on this blog that belongs to you and do not wish for it appear on this site, please E-mail with a link to said image and it will be promptly removed. Book covers & summary of the books are copied from Goodreads / Amazon. No Copyright infringement Intended.